You won’t believe it!! The mayor of Toms River is defending Lakewood Committeeman Menashe Miller in a defamation lawsuit which will expose his illegalities. Will the residents of Toms River stand for this?!?!?! 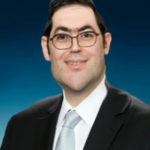 Menashe Miller hired Peter J. Van Dyke Esq. from Kelaher, Van Dyke & Moriarty to defend him in the Schwab Vs. Klein, Sharaby, Hershkowitz lawsuit (see the attached). The lawsuit evolves around Miller’s illegal activities with his silent partner Mr. Charles Schwab. This firm specializes in Estate planning & Power of Attorney, Guardianships, Medicaid planning, Probate and estate administration, Residential real estate, Special Needs Trusts & Planning, Estate litigation, Wills & Will Preparation and Trusts. Why would Miller hired such a lawyer?? Can’t he find an attorney who specializes in litigation or defamation ? The answer is simple: the other attorney on the firm is Mr. Kelaher who is the Mayor of Toms River and was the Prosecutor of Ocean County and is still well connected with the prosecutors office. He is the second most powerful individual in the county. Menashe Miller knows very well that once discovery starts all his illegal activities will be open to the public. He needs the former prosecutor to make sure that his friends in the prosecutors office do not go after him. It’s as simple as that. This mayor is done. kaput. He should look for a place in Miami Beach,. 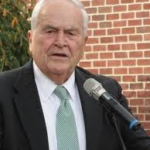 Since Miller has Mayor Tom Kelaher’$$ ear now, maybe he should a$k him how Toms River is able to function fine without contracting with a special private “Land Management Consultant” just like Lakewood does? Then they want to know why ocean county is having an uprising. And they jave the chutZpah to call them anti semites , when In essence the ones who run the town ship are self hating jews and self serving jews . The ocean county uprising is the best disenfectant at the moment. Smoke out the corruption whichever way it goes. MM der nahr, will have diarrhea of the mouth at Kelahar, and that will put him and others away for a long time. Don’t tell us lawyer client confidentiality, ask roy cohen trumps lawyer. Why would a wise man like this do such a stupid thing? Lakewood tax payers are funding his attorney. why cant township attorney represent him? I don’t understand. Why should Lakewood township rfunding is attorney? Why!?!? what do yo mean why !?!?!? He is the township. Who are the little belittled citizens to even dare to …. Obviously the secret is out. The district attorney is looking into miller. Menash, don’t buckle, go down kicking, thrashing, etc. It’s more fun that way. One doesn’t know who his real friends are till the day of reckoning comes. as Winston Churchill said so well- What your are?, we have already determined, now we just are handling the price. Winston Churchill said that to Lady Astor…..
MM, its an issur d’orysa to hurt an Almana. Your bashmutzing your own family , mother inlaw included ,who is an isha chashuva, who lost her husband a number of years ago. Since its obvious u dont care about your own name and future, at least care about your wife and kids future !